See our comprehensive list of theaters in PA. 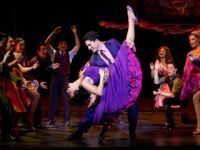 Enjoy great performances and great dining at one of the dinner theaters in PA.
See Broadway Classics at The Forrest Theatre! Since it's beginning in 1927 The Forrest Theatre has been host to hundreds of theatrical productions and shows, from musicals to orchestras to dance performances. 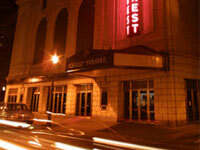 Now, this spectacular theater in Philadelphia offers performances of several award winning Broadway plays each season. 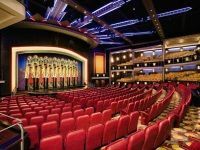 From performances of classic family shows such as Beauty and the Beast, to racier comedic productions like Priscilla Queen of the Desert, this theatre offers a wide range of entertainment for people of all ages. Hershey Has One of Pennsylvania's Best Theaters! Now celebrating 75 years, the Hershey Theatre is proud to continue serving its founder's dedication to bringing the best entertainment to Hershey, PA. Who says that Philly has all the fun? The Hershey Theatre produces all sorts of great shows, from hosting versions of Broadway musicals, to seasonal ballet, film screenings, children's theatre, comedy, and plays. This beautiful location features spectacular lighting, luxurious seats, and an atmosphere of excitement which has hung around the place since it was first opened all those years ago. You should be excited too: your trip down is just one click away; with all those different shows, there's definitely something you want to see coming up. Don't miss out! Striving to Be "Philadelphia's Hometown Theatre!" 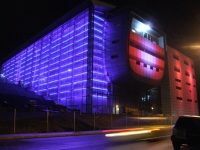 Since its founding in 1988 the Arden Theatre has striven to reach every level of the Philadelphia community: from audiences passionate about the greatest plays, to local artists working in the avant-garde, to children and young people of all ages through educational programming and children's theater. It is their continuing dedication on every front that makes every season at Arden so successful, and they have established themselves as an integral part of the Philly arts scene. What really makes the Arden one of the best theaters in PA is the way they reach out through their performances and programming, and the ways their audiences reach back. What can you say about, perhaps, the richest tradition in American theatre? The Walnut Street Theatre first opened over 200 years ago, and in that time has seen all traditions of the stage, and founded many of them. Home to world premier productions of famous plays (and the famous actors who starred in them) the Walnut Street Theater's reputation is alive and well today with its continuing dedication to theatrical excellence, and some of the best productions you'll find anywhere. Check their season schedule for more information about upcoming shows, and don't miss this opportunity to experience a great show at America's oldest theater. A Unique Theatrical Experience in Philadelphia! The Wilma's mission is to present the best, new, cutting edge performances of works developed by Philadelphia artists, cultivating, in the process, a thriving and adventurous theatrical scene between writers, performers, and audiences. Established in 1973, the Wilma now operates a beautiful, "state-of-the-art" theater of its own to serve as a home to its many wonderfully intriguing plays, as well as educational opportunities for students and other community members to learn about acting, play-writing, and stagecraft. 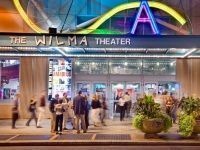 You won't find a unique institution like the Wilma anywhere else in the city, so be sure to check out one of the best theaters Philadelphia has to offer. The Oldest African-American Theater in Pennsylvania! The Freedom Theatre, Pennsylvania's oldest theatre devoted to the performance of African-American productions, opened in 1966 under the artistic direction of its founder John E. Allen, Jr. Since then it has grown to be a major part of the Philadelphia community, embraced by all, and recognized by most as one of the best regional theaters in the state. Whether or not you have ever seen, or been involved with, African-American theatre, Freedom invites you to come celebrate the joys that drama and music can bring us by becoming a part of its audience. Focused on the Production and Development of Great New Work! 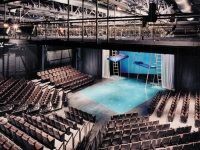 Philadelphia Theatre Company continues to excite and enrich the Philadelphia area by dedicating itself to the development and production of "entertaining and imaginative contemporary theatre." This is where new plays and musicals are born, and PTC has a great reputation of sending its premiers to New York (among other cities) where they go on to be even more successful productions. This is one of the best theatres in Pennsylvania, especially if you have a continued interest in, not only the established theatrical canon, but also the continued emergence of great new work from the Philadelphia area! The Seventh Sister Promotes A Wide Range of Wonderful Theatrical Productions! 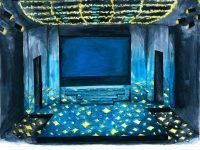 The Theater of the Seventh Sister embraces a wide range of theatrical productions, a diversity of forms and styles (from classical to avant-garde) that is equally reflected in its dedication to a diversity of cultures and voices. Seventh Sister opened over 20 years ago because it finds that the release, education, and community building that the theater is capable of is an "integral part of the human experience" that they care to share and promote. 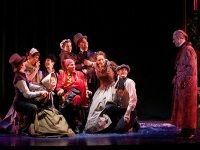 Their typical season spans from their pay-what-you-will production of A Christmas Carol, through productions by local award-winning playwrights, adaptations of great literary achievements in other forms (like the Grapes of Wrath), as well as staged readings. Clearly, there is something for everyone; all you have to do is check out one of the greatest theaters in Pennsylvania! Check Out Their Great Assortment of Different Shows! The American Music Theatre in Lancaster County is one of the best theatres PA has to offer. The Theatre's bill is comprised of all different sorts of programming, from Rock n' Roll Shows (like their recent engagement with America), to comedy (like Bill Engvall), to live theatre and family events (like their Christmas Special), not to mention fantastic original programming. This is the perfect place to spend a wonderful night out with the family you'll never forget; no matter who you want to treat to a special night, they're sure to have something you want to see. Don't hesitate to check out their schedule online - your perfect evening is a click away. One of the Best Theatres in Pennsylvania! 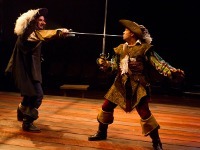 The Philadelphia Shakespeare Theatre is dedicated to presenting the works of the Bard to the Philadelphia community through education and performance. Their mission has been recognized by grateful students and theatregoers, as well as by the City Council of Philadelphia (which honored the Theatre for excellence in Summer 2008). Each season is comprised of three of Shakespeare's plays, as well as numerous outreach programs in schools, not to mention their own Classical Acting Academy. The Philadelphia Shakespeare Theatre is more than just a place to see great theatre, it is quickly becoming a Philadelphia institution, making a wonderful and indelible mark on the city's cultural life. One of the Oldest Philadelphia Theatres! 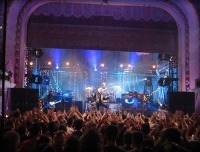 Established in 1870, the Trocadero Theatre has gained popularity as a cool venue for today's most popular performers. As the only 19th century Victorian theater still in operation in the US, The Trocadero has a cool vintage charm that lends to the artistic atmosphere. No matter your style you should be able to find something happening at The Troc that will interest you. A diverse range of artists, performers and bands play regularly at this historic Philadelphia theatre every day of the week. Tickets can be purchased online from their website. One of the Most Impressive Theatres in Philadelphia! 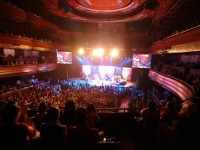 The Kimmel Center is made up of three performance venues, the Kimmel Center, the Academy of Music and the Merriam Theater. 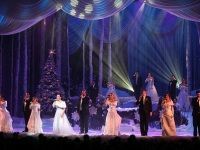 Each venue has exciting events year round including ballet, orchestral performances, plays, musical theater, Broadway plays, opera and contemporary music concerts. Check out their website for a full listing of upcoming shows. Before or after the event you attend, you can enjoy drinks and delicious cuisine at the PECO Bar and Cafe or the more intimate PECO Annex Bar. This Philadelphia theater is also available for rent for weddings, concerts, performances and ceremonies. Experience the Cutting Edge in Theater Performance! Since 1973 the Wilma Theater has been presenting high quality theater productions and performances from both local and national artists. Each year the Wilma has a season filled with provocative and avante garde productions that have audiences on their feet at the finish of each play. Visit their website to see what is offered this season as well as to check out their educational theater programs and summer camps for kids. Special discounts on tickets are available for people in their 20s, students, senior citizens and groups. 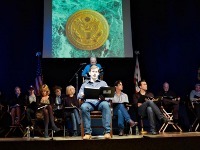 The Arden Theatre Company focuses on producing a wide variety of plays from beloved classics to new works by up and coming playwrights. Each season, Arden strives to produce at least one world premier play to support the creation of new works in American theater. At this Philadelphia theater you will find plays in every genre for people of all ages - visit their website for a list of what is offered this season. In addition to plays, the Arden Theatre Company also has a drama school with classes for children from preschool through 12th grade.